There's so much fun, collectible, and cheap stuff on eBay that kids—particularly older kids that are beginning to develop their own interests, goals, and hobbies— naturally gravitate towards. But before you let your kids browse or shop on eBay, be aware of what's at stake. Be sure that you're familiar with eBay shopping first. You should understand the differences between types of listings, how to evaluate eBay feedback and how the feedback system works, how to evaluate item conditions in descriptions, how bidding works and how to avoid common buyers' mistakes, at the very least. None of this means that you shouldn't let your kids shop eBay. If you're not specifically against it after reading the items above and you can afford the time commitment necessary to help your kid to shop eBay, then it can be a tremendously educational and rewarding experience for both of you. That's a lot to think about, but it just relates to buying. What do you need to think about if your kid is asking you to start selling on eBay? eBay selling represents an even more complex question for parents, because as a seller your legal and ethical obligations are somewhat higher, and because what's involved in eBay selling is somewhat more complicated still than what's involved in eBay buying. Remember that you could be putting your money at risk. As a seller, you may be operating as a business (because your kid is under 18, you'll legally be the seller in any sales transactions they list with your account). You'll be held to any laws and regulations that apply, both locally and nationally. Your taxes may be affected. 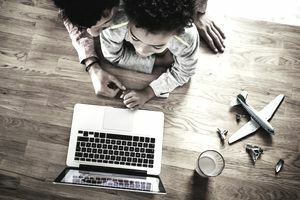 Your bank accounts will be directly connected to your kid's activities. The stakes for selling are much higher than they are for buying when it comes to letting kids be involved, so parents should take an active role and know local legal requirements. As long as you're up to speed and can keep tabs on your kid's activity, there's no particular reason not to expose your kid to the process of selling on eBay. He or she can learn the basics of business—supply and demand, market research, keeping a ledger, providing good customer service, and taking responsibility for actions in general, among other things. Whether you allow your kids to buy and sell on eBay, just do one or the other, or do neither at all is entirely up to you as a parent. Just remember that in one way or another, your kid probably already has experience or a relationship with eBay from prior visits, even if you're not aware of them.